Some days you just need music to plot by, a suitable accompaniment to the story you are writing. On those days, Jack Wall should always have a place on your playlist. His scores for Mass Effect 1 and 2 are a regular feature when I’m writing, but every now and then the plot calls for something a little more tribal. 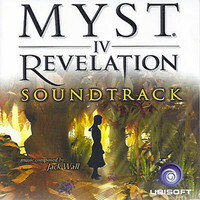 This week, Myst IV – Revelation. The Myst series has always been about atmosphere and exploration, and always bring a suitable soundtrack to the table. Jack Wall is the perfect composer for this, his music swinging confidently between ambience and blood-stirring crescendo. In Revelation he takes a break from the high tech sounds of Mass Effect or Splinter Cell and proves he can do just as well with stirring chorals or tribal beats.